11 Warning Signs of Alcohol Addiction Quiz – Are You Addicted to Alcohol? Warning signs of alcohol addiction are hard to recognise, especially when drinking is a huge part of your nation’s culture like in Australia or the UK. So how can you tell if your drinking habits are normal or excessive? Do you ever say no to a bottle of wine with dinner? Are you always game for that fourth cocktail at happy hour? Do you take full advantage of free booze on airplanes? but those are not signs of alcohol addiction, are they? There are several signs of alcohol addiction. If you answer yes to any of the following questions, you may well be addicted. 1. Do you drink to feel happy? Everyone knows that a few beers can lift your mood. But if you need alcohol to have a good time? That’s a major sign of alcohol addiction. Healthy drinkers know that excessive alcohol does not equal extreme joy. 2. Do you drink to get drunk? You know those people who have a glass of wine or two with dinner? If you are addicted to alcohol, you are not one of those people. You cannot stop after the first drink. You drink to get drunk the faster, the better. 3. Do you usually pre-drink? To hear an alcoholic tell it, drinking at home before an event is smart money-saving. You can buy a whole bottle of vodka for the price of two cocktails in a bar, after all! The truth is that alcoholics do not drink less on a night out when they pre-drink. They turn up tipsy and drink the same amount they would have anyway. 4. Do you do stupid things when you drink? Drinking lowers inhibitions and can lead to fun times. Unfortunately, overdoing it can lead to risky behaviour and bad decision-making. You are more likely to engage in abusive and violent behaviour and end up hurting yourself and others when drunk. Your risk of high blood pressure, heart attack, contracting an STI, and inflammation of various organs increases too. Liquid courage is not worth it. 5. Do you rely on friends to tell you what happened last night? Consistently drinking until you fall over, throw up, or blackout is concerning. You are drinking too heavily if you can rarely remember what you did while you were drunk. 6. Do you have secret places to hide your stash? You might be addicted to alcohol if you hide booze where nobody else looks. Maybe in your desk drawer, wardrobe, or the kitchen cupboard where the juicer lives. At parties, you shove your bottles under the sofa or at the back of the fridge, so no-one else steals them. 7. Do you include alcohol in events that do not typically feature alcohol? Do you use the phrase road beers Do you drink on public transport, while hiking, at the cinema, before midday, or anywhere that does not usually involve alcohol without a moment’s pause? If so, you could well be addicted. 8. Is drinking one of your top priorities? People who are dependent on alcohol would rather drink alone than spend sober time with their loved ones. They would rather spend money on the hard stuff than on food, activities, and bills. They would rather go to a late bar alone than go home with their friends. 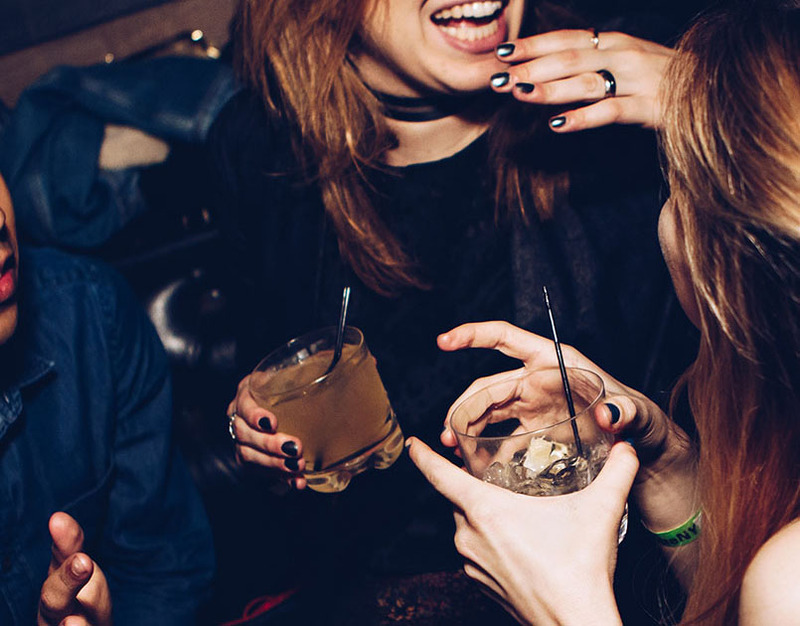 Many people addicted to alcohol experience fractured relationships with friends, family, and partners because drinking is almost always the most important thing. If you frequently lie to conceal your drinking habits, you could be addicted to alcohol. Lying might include telling your partner you have to work late (but drinking instead), calling into work sick (but you are actually drunk or too hungover), or drinking vodka (because its scent is much harder to detect on your breath than other booze). People addicted to alcohol also lie to themselves. Even when your addiction is obvious to yourself and everyone around you, you deny your alcohol abuse. Admitting that you Have A Problem is hard, but it is the necessary first step to taking back control of your life. 10. Do you fail at your responsibilities? Maybe you forget to buy groceries, pick your child up from school, attend important meetings, or pay bills on time. Many people addicted to alcohol struggle to keep up with their responsibilities. 11. Does it physically and mentally hurt if you stop drinking? Alcohol dependence is no joke. Headaches, tremors, nausea, anxiety, hallucinations, or seizures when you stop drinking mean your body cannot function without booze. Alcohol withdrawal can become unexpectedly severe in a matter of hours. It is important that you seek professional help and a medically supervised alcohol detox if you are dependent. Alcohol addiction does not have to impact negatively on your life any longer. At The Dawn, we combine Eastern practices with cutting-edge Western technology in our affordable detox and addiction rehab centre. If any of these warning signs of alcohol addiction feel familiar to you, get in touch with us for a chat.